Restoring the function of a broken, decayed or missing tooth doesn’t have to be unsightly. Pinehurst Dental Arts offers her Middletown, NJ dental patients an aesthetic option when it comes to restoring their teeth. When a tooth is broken or decayed beyond the point where a traditional filling can restore its proper function, a dental crown allows the tooth to structurally withstand normal uses like biting and chewing. A crown covers the entire visible surface of a tooth above the gums. 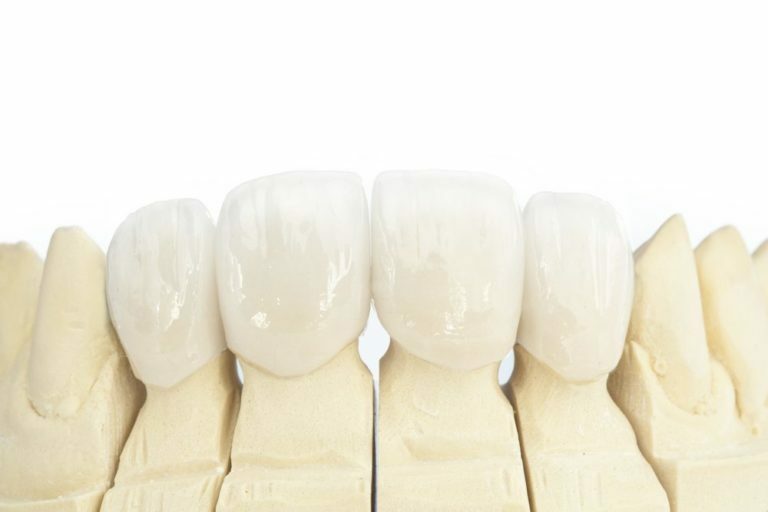 While some crowns may be gold, or porcelain-fused-to-metal, our knowledgeable doctors use all porcelain crowns for her patients, giving them the most natural appearance possible. The porcelain crown is carefully matched to the adjacent teeth, so it will blend in with the rest of your smile. Dental bridges are used to replace one or two missing teeth. In some circumstances, dental bridges may be a better tooth replacement option for the patient than a dental implant. A bridge places a crown on two teeth, with a false porcelain crown fused between them, “bridging” the space of a missing tooth. Bridges are used in all areas of the mouth. If you would like to find out more about dental bridges, contact our Middletown, New Jersey family dental office today!